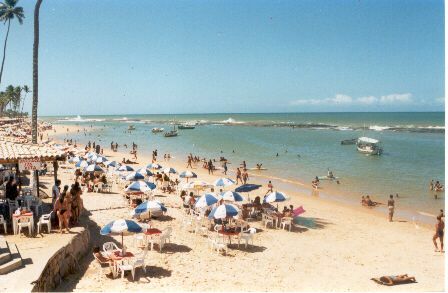 Recover on the mile long sandy beach and relax in the nearly all-year warm sea at „one of the most beautiful beaches in Brazil“ (magazine GEO, Spain) in Praia de Jauá with its miles long beaches, surrounded by snow like white dunes. It is very popular. At some parts reefs form natural pools when the tide is out allowing to swim even by high waves outside, children and non-swimmers adore it. The southern and northern beaches are almost deserted and invite you to extensive wanderings. 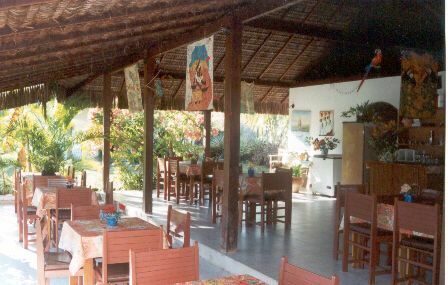 In Jauá itself there are some restaurants, bars, supermarkets and other shopping facilities and you can sample a host of Bahian food and drinks in any of the more than forty beach pavilions. 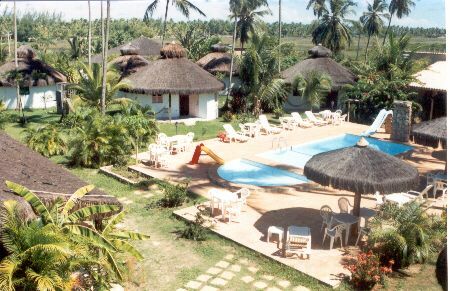 The Hotel LAGOA e ... MoreMAR (we speak English) is situated in a tropical garden on the banks of a natural lake and consists of twelve spacious circular bungalows (app. 40 m²). 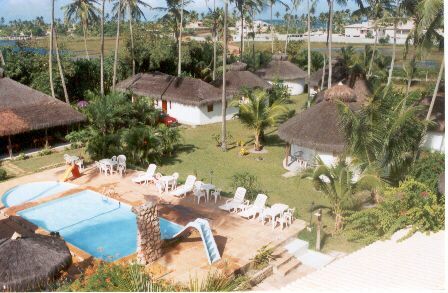 The complex has a swimming pool with a separate pool for small children, sun terrace (with bedchairs and sunshades), bar with reading-room, playground and a restaurant. We have internet access and fax. 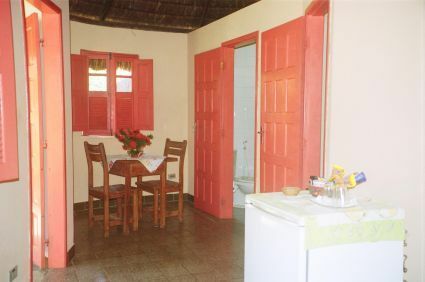 Each bungalow (suite) contains a bedroom with double bed (king size), fan and TV, a living room with two couchbeds, radio and refrigerator, a bathroom with WC and shower and a veranda complete with a hammock, a table and seats, offering enough room for up to three adults. 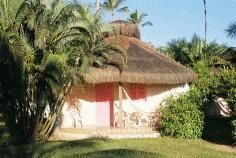 Four bungalows are specially adapted for people with wheel chairs. 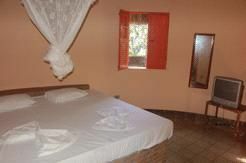 Accommodation price includes a rich breakfast. 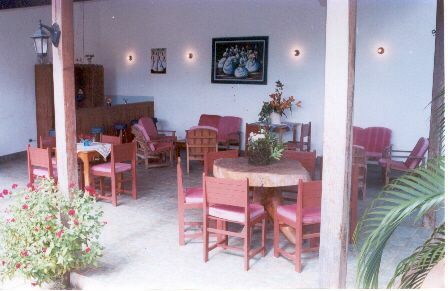 Enjoy the wide range of Bahian and international cuisine in our restaurant. 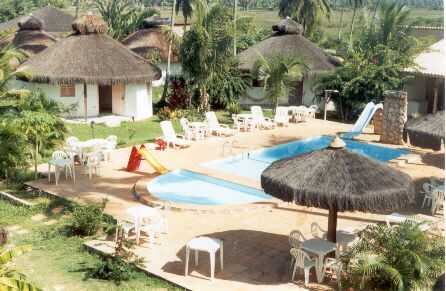 Bahian specialities at the coast (Litoral Norte) are mainly seafood: fish, shrimps (small and large), calamari, lobster and so on, fried or as 'moqueca', that means boiled in a coconut milk sauce with vegetables and spices. Beef, mutton, chicken, spaghetti, vegetarian dishes and salads complete our menu. And there are snacks for the small appetite. Leave your e-mail so that we will advise you when the Hotel Lagoa e Mar is available at this time.